For sure, when we get inspiration from nature or when we design a house with natural elements in it, we will never go wrong. As a matter of fact, when you consider nature, your home becomes a more cozy and relaxing place to go home to. Even commercial spaces that adopt nature get that homey and serene feel. That is what we can see in our featured house for today. 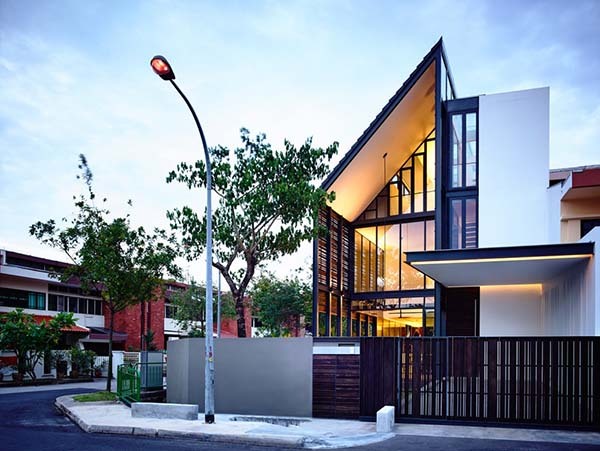 The house is called the Faber Terrace located in Singapore. It is a single family residence that focuses on a design filled with natural light while embracing the outdoors. 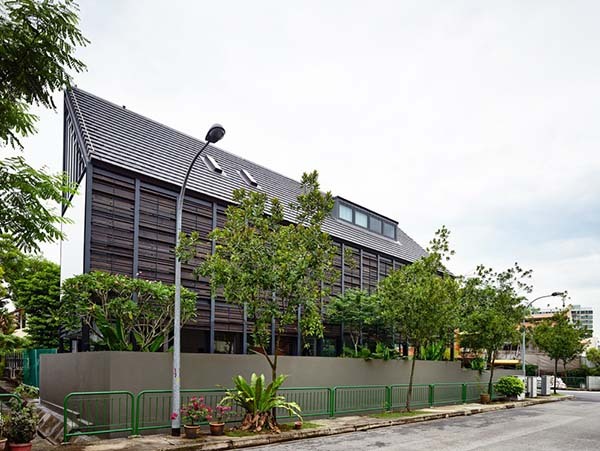 This 4,025 square feet (374 square meters) home has a terrace that sits at a corner site. The full side of the house is facing the side street. Well, you can get to know more about the house through the images below. The house has that contemporary design that looks distinct because of its shape and form. An outdoor terrace with a high volume fronts the main garden of the house. 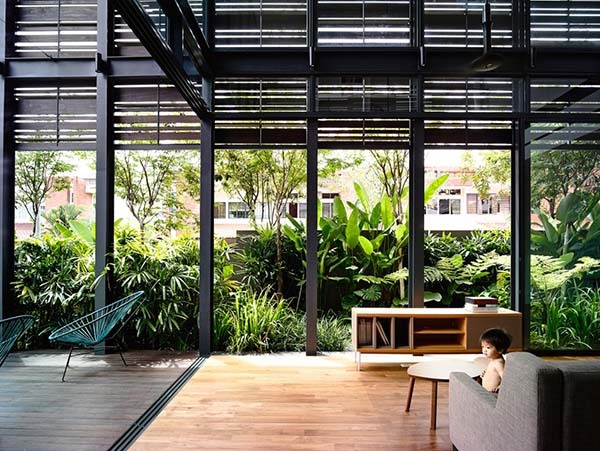 The interior of the house looks very calm and relaxing despite some subtle industrial look. 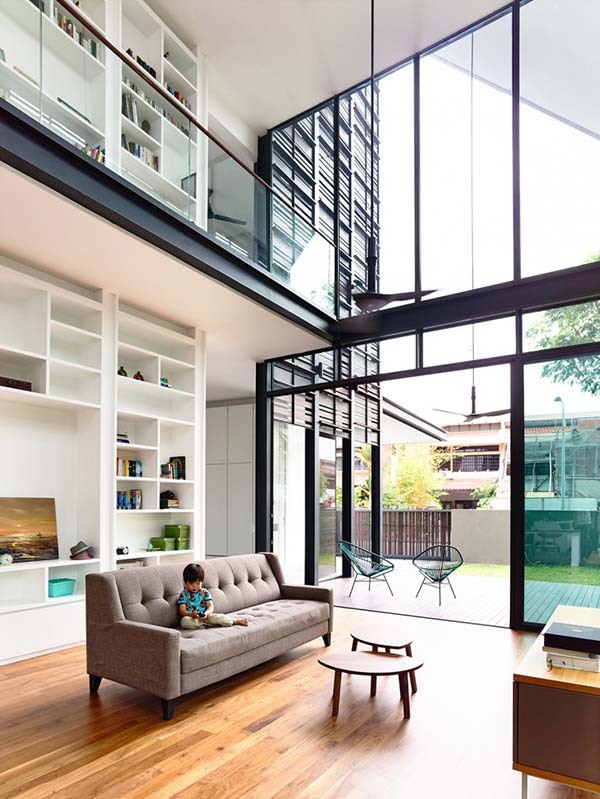 The double volume living room boasts a book shelf that extends two stories. 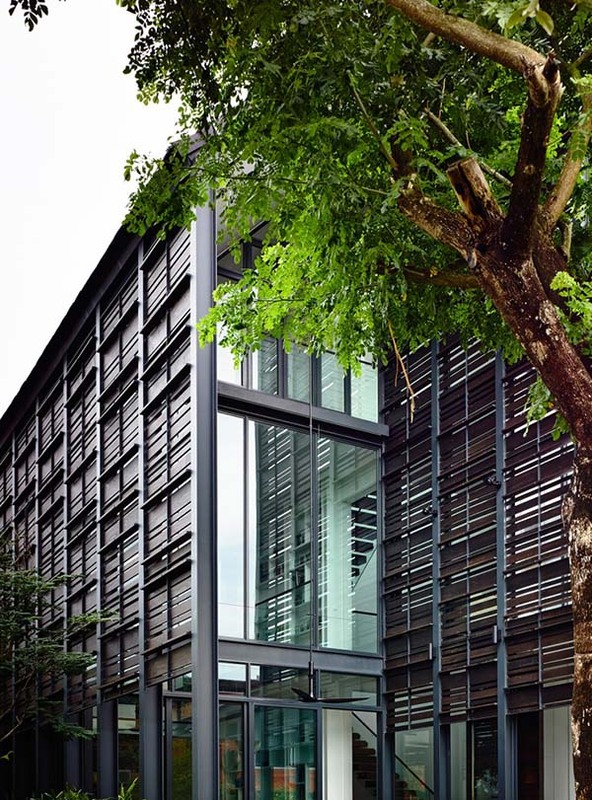 It has an interesting design with the use of glass and timber combined. The shelf is indeed a good feature in the house. Who wouldn’t want to have a very tall shelving like this? 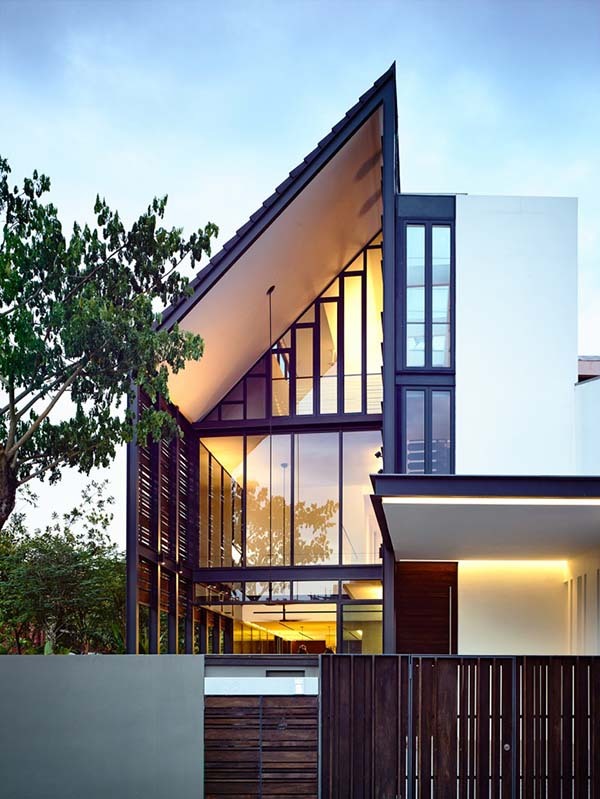 Using timber slats add privacy to the home but still allowed the entry of natural light. 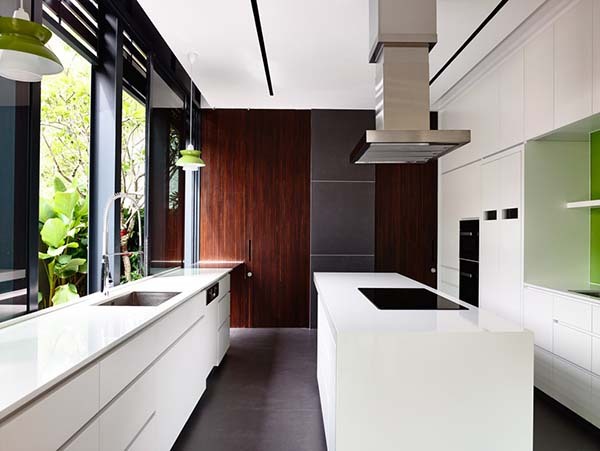 The kitchen is beautiful in white with some wooden features in it too. You can see a wooden dining table here that complements with the seats too for the dining area. A quiet working area in the house with sleek and edgy furniture. 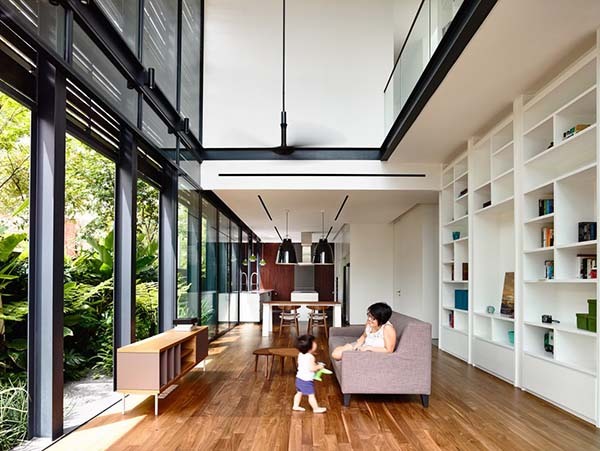 Like other parts of the home, it also opens to the garden. 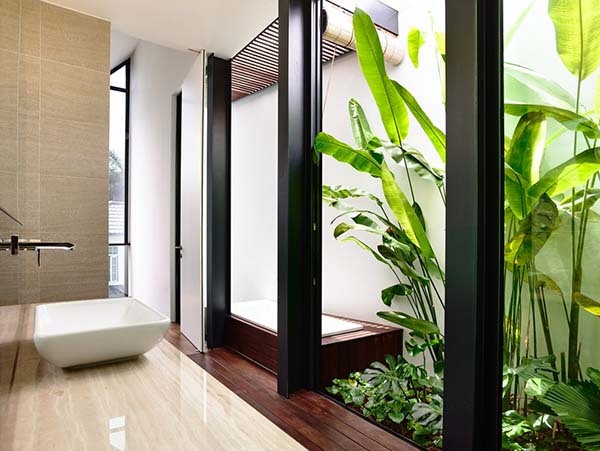 The bathroom would also make you feel one with nature as you can see all the lush greenery from inside and even from the tub. 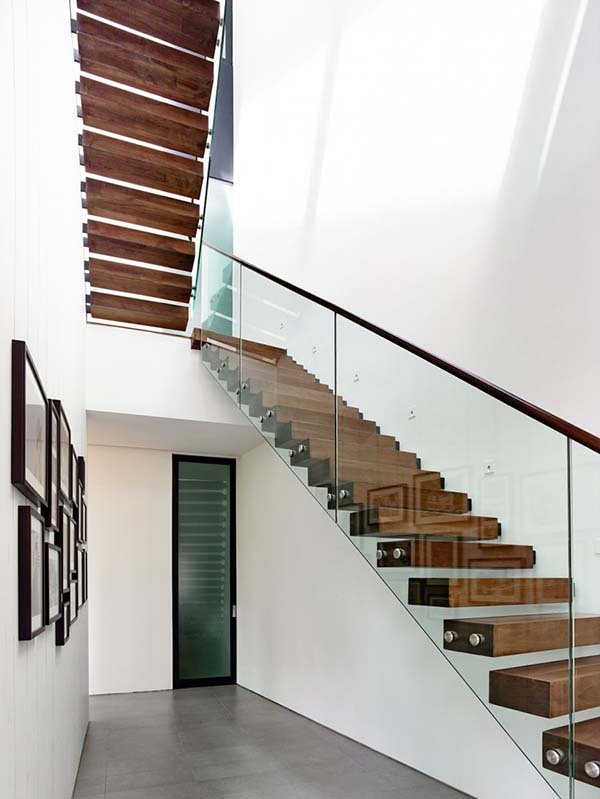 A lovely staircase with wooden treads and glass railings is used to access the private areas of the house. 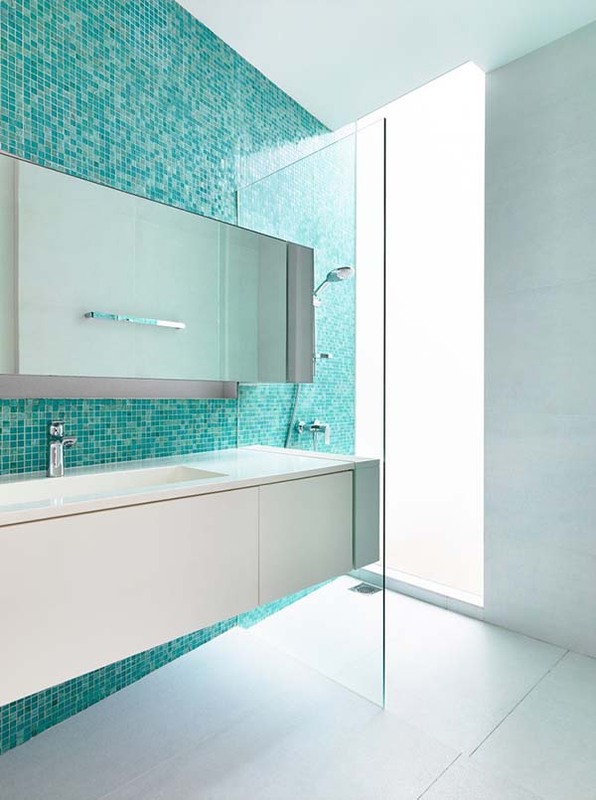 Another bathroom in the house with pretty colors used in the mosaic tiles for a cool and refreshing feel. 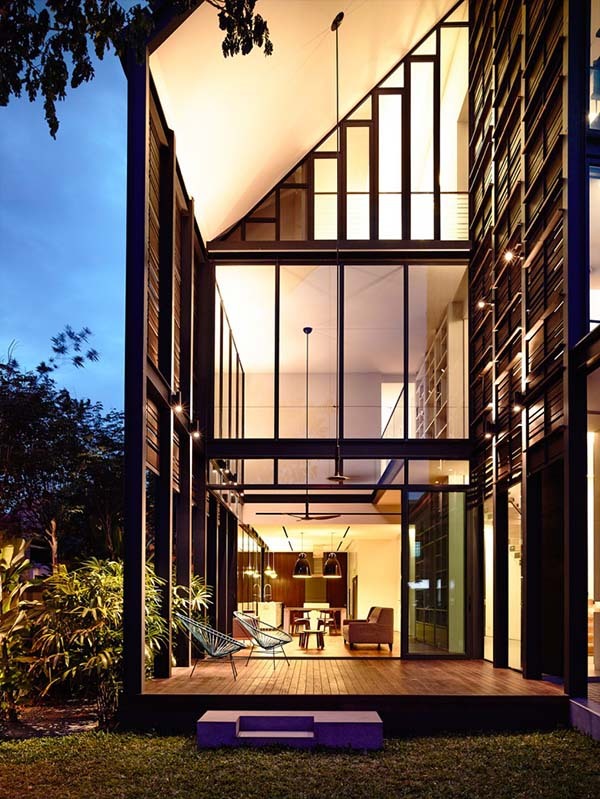 A combination of glass and timber gives this house an attractive and interesting look. In order to preserve privacy while still allowing light and ventilation, slatted timber screen covers the entire side elevation. Indeed, when a house has natural elements in it, it looks very cozy and it would also give the people living in it a different level of comfort. I am sure you will feel really good when the sun’s light gets into your home. This is the exact feeling the owners of this house can get. Well, thanks to the beautiful design by Hyla Architects who made sure that they will be able to provide the kind of home their clients needed.